The GenuTrain P3 is an advanced version of the original award winning GenuTrain that offers permanent patella tracking and protection. 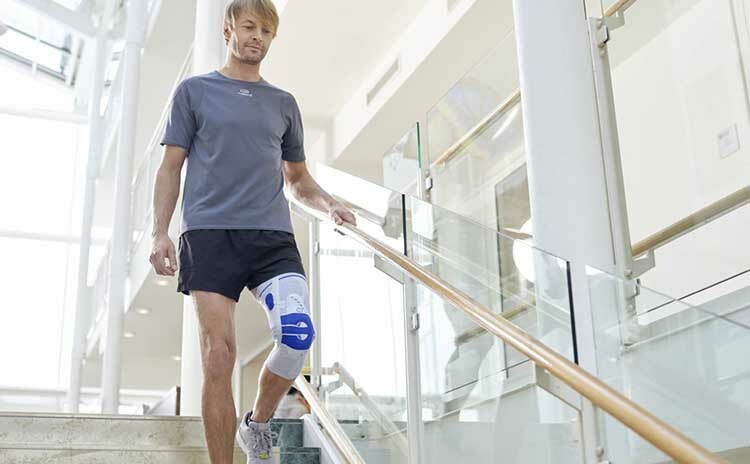 The GenuTrain P3 combines Bauerfeind’s gradient compression engineering with a revolutionary muscle-relaxing patella pad for active support and stabilisation of the knee. Pads work together to hold the kneecap securely in its natural position, and stimulate a massaging effect as you move to reduce inflammation and pain. The GenuTrain P3 is ideal for pain caused by misalignment of the kneecap (patellar lateralisation), femoropatellar pain syndrome (anterior knee pain), ACL and MCL injury or pain associated with patellar tip syndrome. Unique 3D weave is breathable, moisture wicking and provides all day comfort. Muscle-relaxing pad – Reduces sideways pulling of the kneecap to further reduce pain and relax the muscles with soothing massage. Corrective guide – Stops your kneecap from drifting outward to relieve discomfort and help healing without loss of mobility. Patella cover – Counteracts the tilting of the patella. Corrective strap – can be individually adjusted for optimal kneecap control. Pad wing – Proximal extension as far as the vastus medialis muscle, and improved proprioception. Ring-shaped soft pad – Surrounds the kneecap to center it for stability. Wedge-shaped Hoffa soft pads – Two pressure points on the pad relieve strain on the area below the knee, which can frequently cause pain. 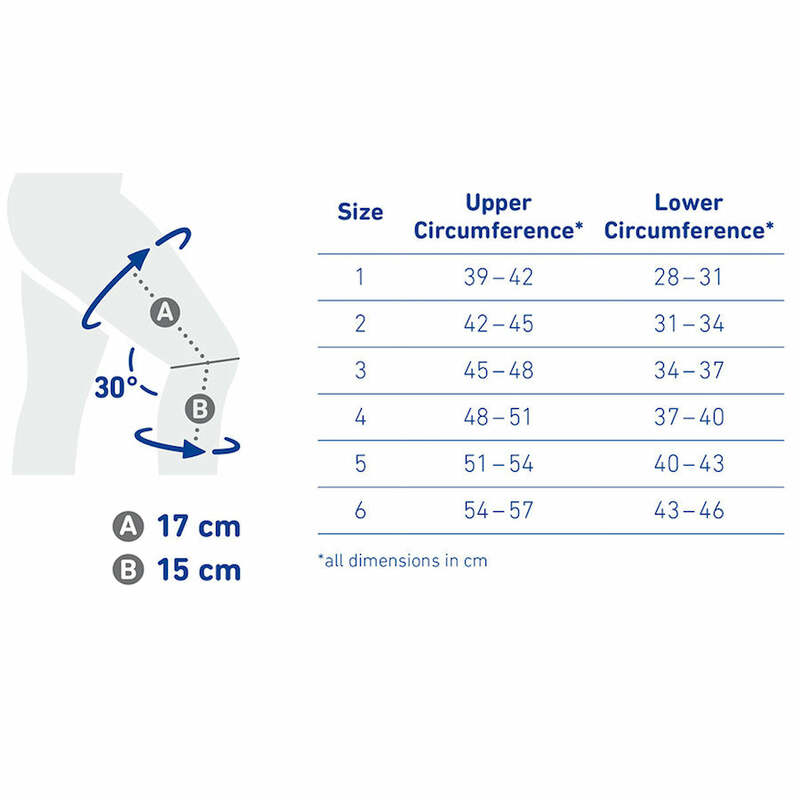 Measure the circumference of your leg 17 cm above the centre of your knee (A) with your knee bent at 30 degrees. 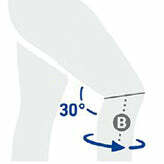 Measure the circumference of your leg 15 cm below the centre of your knee (B) with your knee bent at 30 degrees. GenuTrain P3 should feel snug and firm but not constrictive. All Bauerfeind knee braces have a 1 year warranty and qualify for our 30 day size exchange policy.